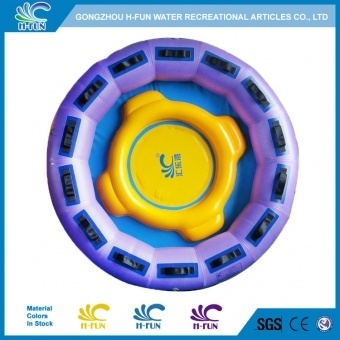 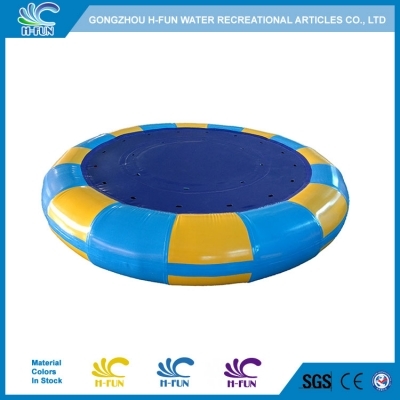 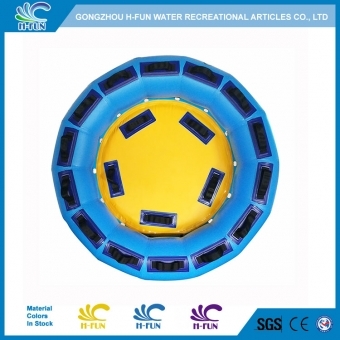 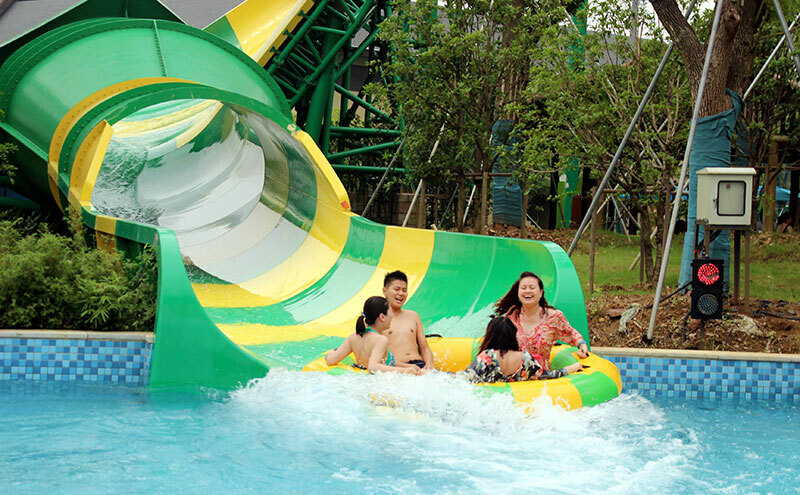 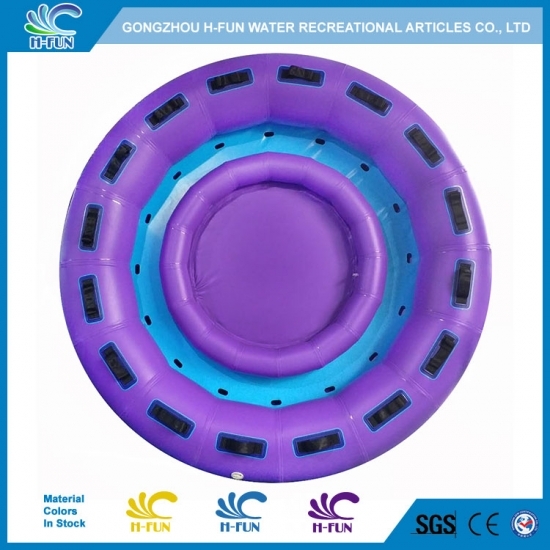 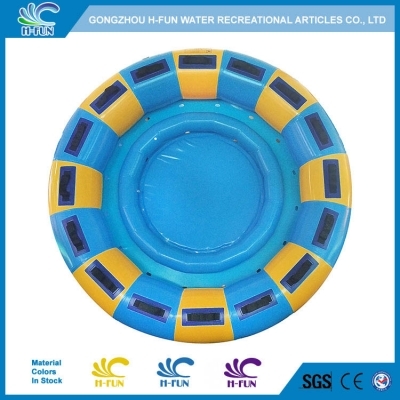 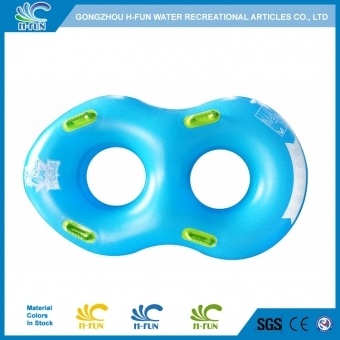 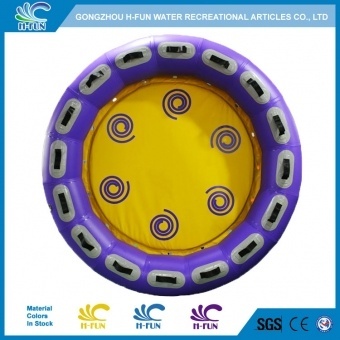 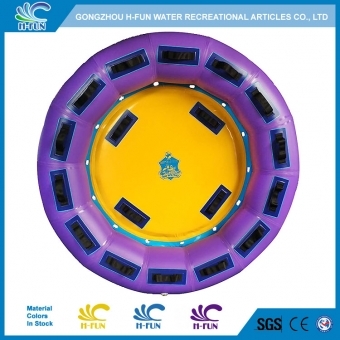 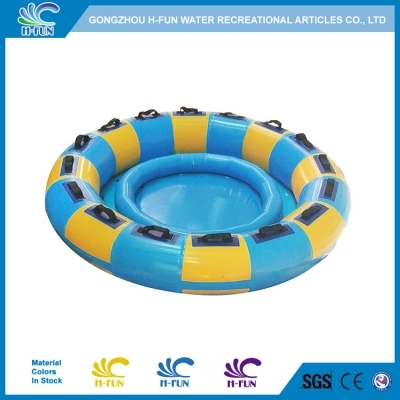 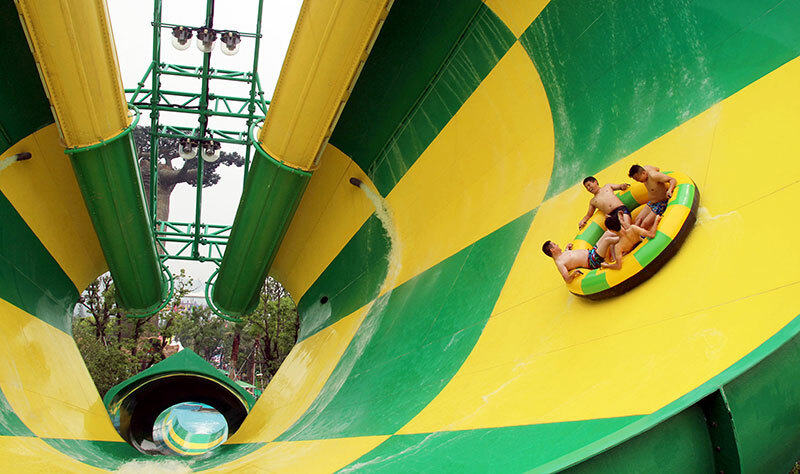 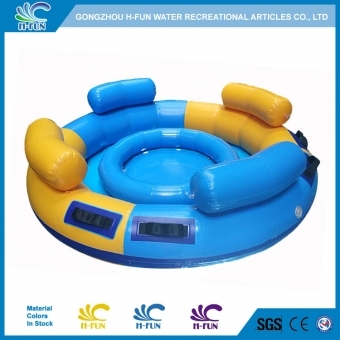 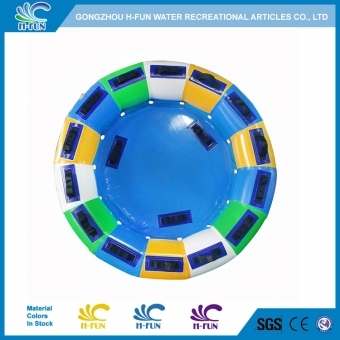 2, Abrasion resistant lines embossed on the material of water park round raft. 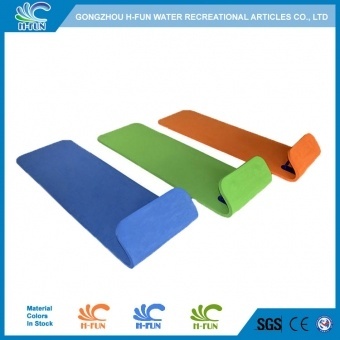 3, Smooth and seamless overlap heat bonding sealed,do not use any glue, very strong. 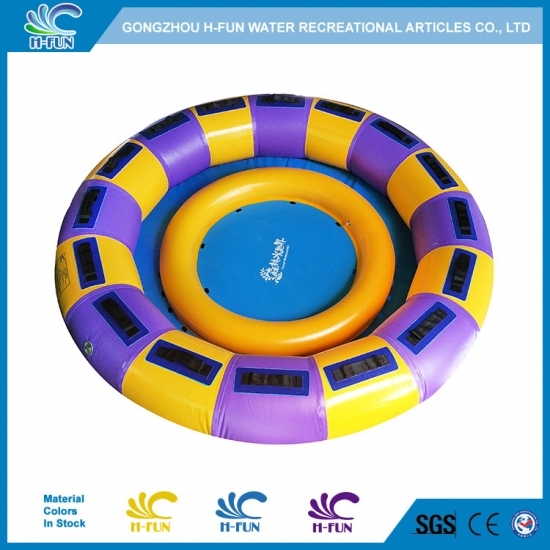 5, Comfortable airbag seats to protect players from the slide.